(Newser) – Drinking vinegar for weight loss? The fad may be appearing all over social media, but it's "as gross as it sounds," and sipping vinegar is not the weight-loss miracle it's purported to be, reports Glamour after talking to dietitians. While drinking vinegar may aid in weight loss, "it is not magic," says one of them, author Beth Warren. Another says drinking vinegar could cause stomach discomfort and acid reflux. (Some researchers think it's those adverse effects that actually curb the appetite.) 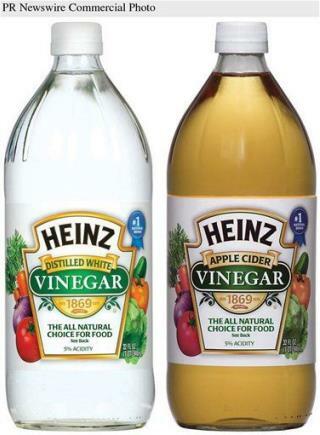 The recent hubbub about vinegar seems to stem from a 2009 Japanese study, in which obese adults dropped two to four pounds in 12 weeks after taking up to two tablespoons of apple cider vinegar daily. Other outlets echo Glamour's findings. Processed grain is essentially glucose; it is absorbed in the small intestine and converted to fat. Whole grain or other fibrous food resists digestion until it reaches the large intestine, where bacteroides bacteria break it down into utilizable glucose. A great deal of the calories in fiber (actually a complex carbohydrate) goes towards the maintenance of those bacteria - less left over for us to burn (or store.) 60% of the dry weight of feces is dead bacteria! Want to maintain a healthy weight? Want to partner with your immune system? Want to avoid heart disease, immune disease, intestinal disease, Alzheimer's Disease(! ), diabetes? Cancer thrives on glucose ya know! Food is medicine (or poison, depending on your diet.) Eat beans and greens. Only the roughest (highest amount of fiber) grains. No fructose. Exercise at least 45 minutes a day.